The film really hits on the need for emotion and decency towards all humankind. When you are in the army you are trained to be an emotionless, killing machine. When you are always surrounded by so much death, loss, and suffering you can only do that for so long. 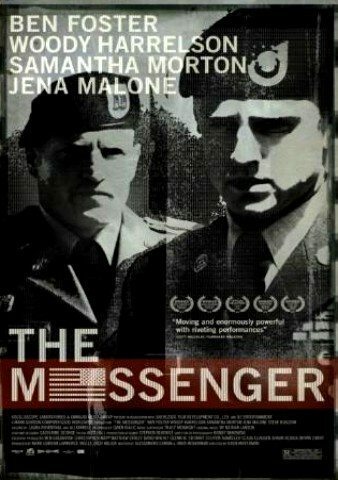 The Messenger deals with some essential themes of military films, but it doesn’t define itself by them. It is character driven and an examination of relationships in a lonely and solemn environment. Read the full review. The Greatest is a family melodrama and an untraditional love story. It is really about loss and how to come to terms with it. For some it is how to face it while others it is just about letting go. It shows broken families and the how different losing a loved one is for every person dealing with tragedy. The Greatest is a very realistic take on tragedy. It hit my emotions hard and is definitely the film at Sundance that was the most heartbreaking and uplifting at the same time. Read the full review. 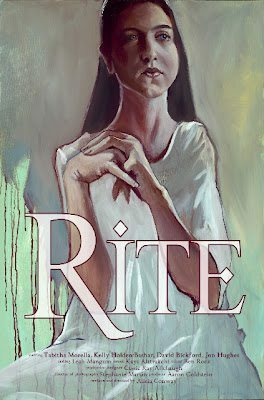 Rite exemplifies how harmful blindly accepting tradition can be. It doesn’t have to be in the sense that we see it here. It applies to many aspects of our every day lives, it just does this in a darkly fascinating way. It’s incredible in just about every aspect: sound, visuals, and characterizations. The film is so impressive mostly because it is very simplistic. With shorts usually less is more and Rite definitely executes that perfectly. It takes one event that is symbolic of lifestyles that we cringe at as well as those that are more present in our own. Rite is a very intense, engaging, and powerful short. Read the full review. Grace is a beautiful horror film that centers on motherhood and the questioning of how far you would go to provide for your child. It is Paul Solet’s first feature, which is pretty astounding. Although the gore, story, and structure are very different, what the film is at its core reminded me a lot of Inside. The same sort of feelings were invoked within me through both of these films and the same themes embody them. Grace depicts horror with meaning and uses emotional connections that we all have to bring this out, almost sympathizing with it. Read the full review. 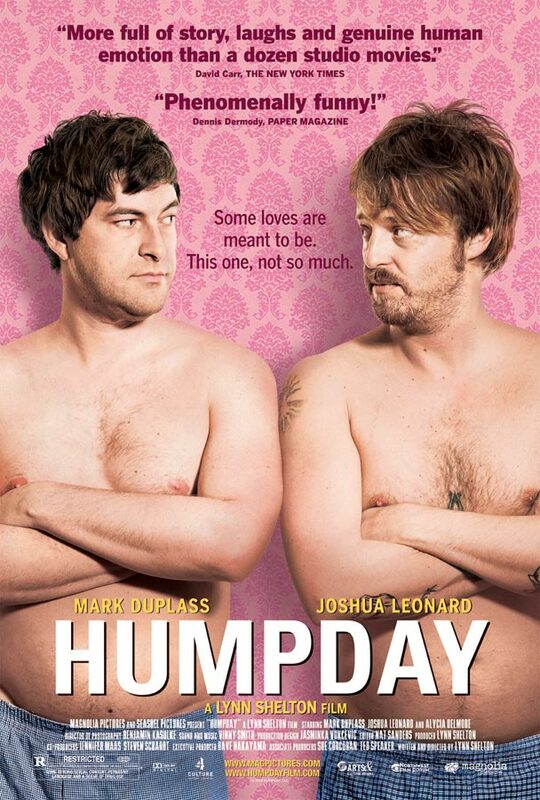 Humpday is a film that really put the outcome and direction of the movie in the hands of the actors. Director, Lynn Shelton, wrote an outline of the plot of the film and who these characters were, but that is about where the pre-determined writing of the film stopped. The rest of the film was entirely improved. The actors made up their own dialogue as it came to them and even decided what would happen in the end, a pressing question through the entire film. Read the full review. It’s always good to find something new and with some of the obscurity of this story, The Immaculate Conception Little Dizzle definitely is that. I have never heard of any other movie about janitors’ love of chemically enhanced cookies that make these men have blue baby creatures, not that I can recall anyway. It’s very different and there was enough likeability in the characters to make us care about them, letting us suspend our belief about the story. The Immaculate Conception of Little Dizzle is a ton of fun to watch. It’s the little things that really make it so enjoyable. The dialogue is really rich, the characters are fresh, and the story is so crazy that it works. Read the full review. Rachel Dratch and writer/director, Ryan Shiraki, got together to create Spring Breakdown after realizing the lack of good comedy roles for women. The main cast is almost entirely female. Each of the all star actresses involved use their comedic charm to work off each other, making this a hilarious and very fun film to watch. There is a lot of creativity with the level of dorkiness in these characters that makes them completely loveable. Seeing them as such opposites through moments during the film is like a very entertaining experiment with no idea of where things are going to go next. There are so many priceless moments in the film that make it most funny especially through the obscurity of situations. Read the full review. Oddly enough the film at Sundance that I felt portrayed the true meaning of motherhood best was actually the vampiric horror drama, Grace. Motherhood will likely work for some who can understand the hectic nature, but it feels a bit one note at times. It is a decent movie that has a very chaotic tone that works with the situation to a certain extent, but ultimately holds the film back. Read the full review. 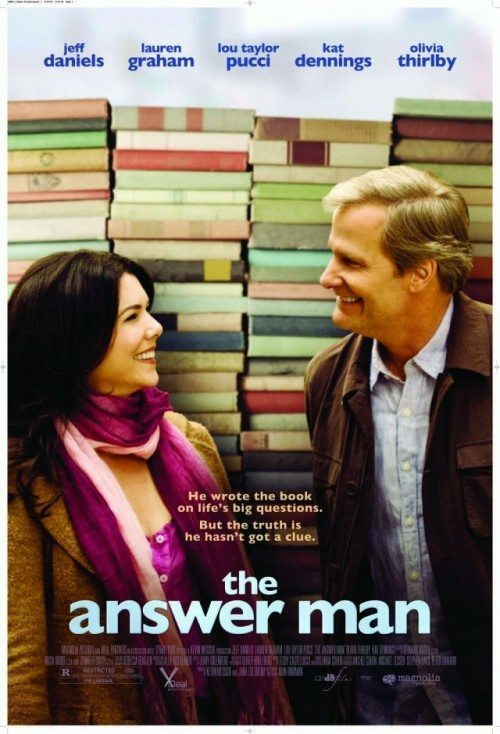 The Answer Man is a romantic comedy packed with flawed, but deep down very likable and real characters. The film deals with alcoholism, questioning of faith, and motherhood paranoia. It is a film full of wit and charm alongside some very interesting relationships. The Answer Man is really about realizing our heroes don’t have all the answers. No one really knows those fundamental questions about life. If they did, they wouldn’t be such pressing questions. All anyone can do is to find and follow what you believe in. How you come to these answers or the logic isn’t important as long as it feels right for you. The film does this by examining life and belief through very different characters with such emotion and understanding. They all have their problems and weakness, but this is what makes them so human and relatable to their audience. Read the full review.